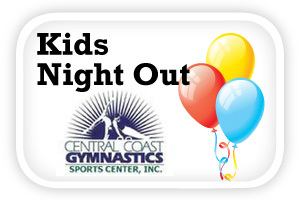 Central Coast Family sponsors CCG Kids Night Out! Join your Booster Club for another fun-filled night of gymnastics, games, movies and the famous PIT!! Sponsored by Central Coast Family! That's 4 fantastic hours of fun! Open to kids age 3 (potty trained) and up! All proceeds benefit Teach Elementary School. Pre-Registration is required. Purchase Tickets HERE by Jan 30 or call (805) 234-4143. 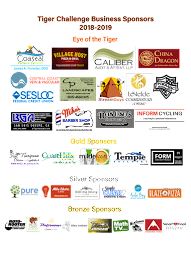 Sponsored by Central Coast Family, a free monthly publication distributed throughout San Luis Obispo County and North Santa Barbara County. Read the latest issue (featuring teacher and history author Guy Crabb) at www.centralcoastfamily.com. Idona Cabrinha welcomed the group and thanked those who helped with the recent Chili Cookoff. She also thanked those who brought fresh chili/lunch to the teacher workday. At that point, Idona stated that she was going to keep today's Booster meeting moving along so that it would be held to one hour. The minutes from October's meeting were distributed and everyone present had a few minutes to review them. Paige Wright motioned to approve them, Suzanne Mulay seconded the motion and the minutes were approved. Marie Neumann reported that the Boosters organization is doing well in terms of getting receivables in and processed. The Chili Cookoff brought in $150.51 and the Teaberry fundraiser raised $55.60. Idona mentioned that the Boosters are a little concerned about 5th grade trip expenses versus family payments and said that the payments are a little slow coming in. Marie said that she will send monthly invoices to remind people. There was some discussion regarding the wording of the invoices and whether current wording is confusing; there was also discussion of whether final versions got to everyone. Marie reiterated that she and the other Boosters officers are creating budget records for next year so that the next board doesn't need to start from scratch, without supporting info and documentation. Mr. Block discussed recent developments at Yosemite -- specifically actions taken to deal with the hantavirus, which has been spread in certain areas of the park by mice and rats. He described how the tent cabins used last year have been closed down because of this issue, and he said that they are working on new options (eg, splitting the trip into two nights camping elsewhere and two nights in a nearby hotel). He said that trip organizers have talked to alternative camps but that they hope there will be a workable solution for Yosemite. Further, he said that since this is an all-day activity type of trip, it is possible to pretty much replicate the experience even if the kids need to stay in a hotel instead of a campsite. Mr. Block then thanked Chantal Blanchard for a successful Book Fair, and he mentioned the Applebee's fundraiser coming up. He also talked about the Variety Show scheduled for the end of January and said that these types of events are an important part of creating a great school environment. On the topic of the Variety Show, he said that he's looking for parents to help with organizing the event. There was some discussion about the show, and Mr. Block said that Teach does its own show for time/length reasons (ie, let everyone who wants to participate do so, but don't have it run too long). There is a daytime and a nighttime show. One parent brought up the idea of allowing non-traditional talents such as a stop-motion animation film presentation, and some people noted that this is a good idea for less outgoing kids. Mr. Block said that another way to get lots of kids involved is for one parent to create a large group dance. 1. Paige reiterated that Scrip is an extremely useful tool for fundraising. She said to call her if anyone wants to walk through the sign-up/use process with her. She also stressed that Boosters need to do personal outreach to help get people signed up. Idona stressed that this is a legitimate program and that we're only asking people to buy what they may already need. She further suggested that it would be great if we had one "Scrip expert" per classroom. Paige wrapped up by saying that the upcoming important dates are 12/7/12 order deadline for 12/13/12 delivery and 12/14/12 order deadline for 12/20/12 delivery. 2. Genevieves is wrapped up. At this point, Mr. Block mentioned that there will be a Blue Ribbon ceremony in Washington D.C. next week, and that he will be going on behalf of Teach. The teachers had a drawing to see which one would accompany him, and Mrs. Kelly won. Mrs. Jones offered to pay her own way, so she will be going as well. 3. There was no further Chili Cookoff update, as Lori Shields was not in attendance. 4. Teaberry: This was an easy fundraiser that raised $55.60 for the Boosters. 5. Book Fair: This is the final day of the Book Fair. Sales appear to be up over last year, and it is estimated that there will be about $1,625 in profit when everything is wrapped up. Chantal Blanchard mentioned that $250 in cash can be turned into $500 in Scholastic credit, and she suggested that the Boosters give that amount to the school librarian for purchases at her discretion. That would mean that the profit estimate would be amended to $1,375. Marie Neumann motioned to approve this and Suzanne Mulay seconded the motion; the motion was approved. Chantal also noted that the drawing for the donated Nook e-reader is scheduled for noon today. B. Bylaws update: Mr. Block said that the group working on this is trying to determine if we're amending or redrafting the bylaws. If anyone else is interested in participating in this effort, please let Idona know. C. Ning site vs. Teach Boosters Blogsite: Idona reported that the Ning site has an associated monthly cost, and that participation is currently estimated to be about half of the Teach parents. Because of these factors, she is recommending moving back to the blogsite format. It will not have the live chat functionality but otherwise things will remain pretty much the same. There was some discussion about a Facebook page; it exists but won't be the primary mode of communication because not everyone is on Facebook or wants to be. 1. Yearbook: Suzanne Mulay said that we'll be using a different company this year. It will be Lifetouch, which currently does the school pictures. The whole 6th grade class is involved in production. The books will be hardcover and will cost parents $10-14 each. There will be business card sized ads, as well as dedications and buddy pics; these will all bring in a little money. Class parents will be in charge of helping collect photos for the yearbook. 2. Applebee's: Tickets are already being distributed. AYSO has a soccer tournament that day; that may be a conflict for some. 3. Calendar project: Idona is offering to pull this together this year, and Suzanne Mulay offered to help. 4. February fundraiser at the Creeky Tiki: This is tentatively scheduled for 2/9/13. It is envisioned as a stand-up, heavy appetizers kind of event. There will be a brief meeting after this one for people interested in helping work on this fundraiser. Summer Kabaker reported that the Boosters are already getting offers of donation items for the live auction. 5. Electives: This program will run January 10-February 7 (6 weeks). Cost is not really an issue, but we need parents to help teach these special classes. Kate Poeschl asked for a parent to volunteer as co-chair and said that anyone interested should contact her. Grace Kim reported on Mrs. Bailey's class and said that they're working on their Famous American projects, non-fiction reading groups, and studying election coverage. Riana Baxter reported on Mrs. Jones's class and said that Mrs. Jones appreciates her student teacher and that things are going really well in class. Dondi Hubley reported on Mr. Crabb's class and said that they are finishing up their Mission projects and going into a study of holiday traditions. KSBY also did some filming in class and is running that footage on a weekend program. Idona described the meeting of school parent organization reps hosted by Dr. Prater. She detailed the S.T.E.A.M. pilot in Los Osos and said that Dr. Prater will recommend to the school board that this move forward. Regarding the space issues at Bishop's Peak and Teach, Dr. Prater says that there is a lot of emotion and history, and Idona feels that he will recommend a separate campus for Teach. Dr. Prater will also be going to Sacramento for meetings related to Basic Aid. Mr. Block mentioned that the passage of Proposition 30 was great news for our school district and others and means that mid-year cuts won't happen as feared. Idona said that the next meeting for parent reps hosted by Dr. Prater will be December 20. Idona Cabrinha motioned to adjourn the meeting and Suzanne Mulay seconded the motion. The meeting was adjourned at 10:05 a.m.